Click on book for extract from the poem. 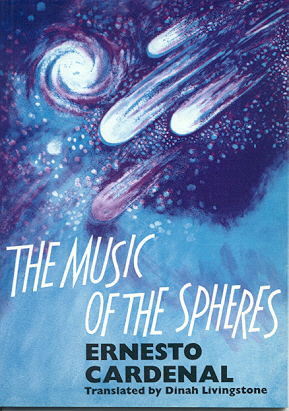 Click to hear an extract from 'The Music of the Music of the Spheres by Tom Livingstone et al. NB. Depending on your browser, it may take a little while to download the music. Poetry. 1990. Bilingual text translated and introduced by Dinah Livingstone. Cover and illustrations by Anna Mieke Lumsden. 42 pages. ISBN 0 904872 13 0. £4.50. A single long poem, forming one cantiga of Cardenal's huge Cantico Cosmico. Poetry. 1988. 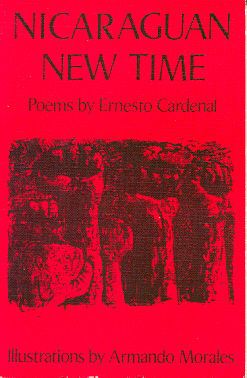 30 poems translated and introduced by Dinah Livingstone with illustrations by Armando Morales. 96 pages. ISBN 1 85172 027 8. £3.50. (Originally published by Journeyman Press: not bilingual text). 30 poems by Latin America's greatest poet who became Sandinista Minister of Culture. Click on book for a poem from it.